(12) Good storage performance, Green & Environmental protection without any pollution. 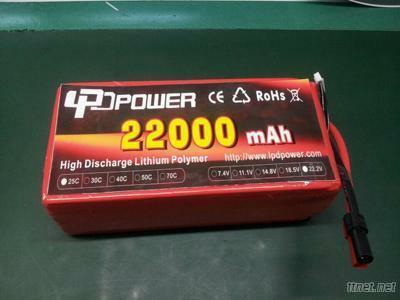 Usage: LPD Lipo 13000mah 6S 25C batteries are applied to the industry of UAV, FPV, aerial photography and multi-rotor, which can be usually used in the following models: Align jet, Esky helicopter, Walkera airplane, E-flite huge plane. Draganflyer etc.